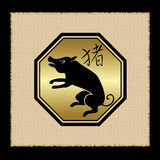 Aries Wood Pigs are courageous which make them great leaders. They are adventurous so they will not hesitate to take risks and try new things. AWPs are generous people and will give more than they take, even if it does not benefit themselves. They are constantly growing and will continue to seek out knowledge and skills to improve themselves. 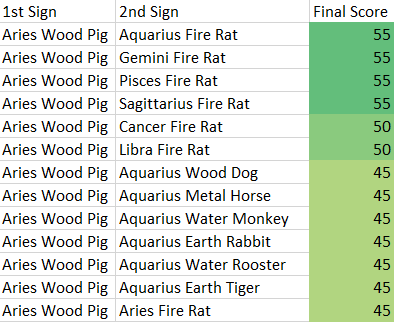 Last not but not least, Aries Wood Pigs are known to be sturdy so it’s great to have them on your side when things become tough because are great support. They are popular creatures so expect a crowd of people constantly gravitating towards them. On the other hand, the Aries Wood Pigs can become impatient towards others by losing their temper quickly. At the same time, they may take action without much thinking due to their impulsive nature. The AWP person can be easily overburdened. They tend to take on more than they can manage. These people can also be very passive and are prone to not care about situations that may need their attention. Worst of all, Aries Wood Pigs can be materialistic to the point that they will care more about what they can possess than other people’s needs. They are also pigheaded and can become difficult to agree with others’ opinions especially when it’s something that they strongly believe in.